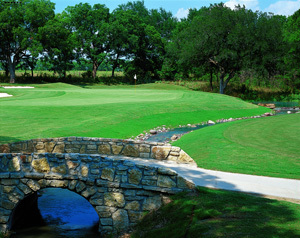 Below you will find a list of the best corporate event venues at Texas Golf Courses/Country Clubs. If you're planning a corporate event, corporate retreat, or corporate party, then you should check theses corporate event venues in East Texas for your next event. If you want to find corporate event or retreat venues in another areas of Texas, click on our Corporate Events Page to find Corporate event venues in Austin, Dallas, San Antonio, the Houston area, West Texas, East Texas, and Central Texas/Texas Hill Country. If you have an corporate event venue that you would like to advertise with us, complete the form on the Advertise With Us Page. The Conference Center at The Cliffs Resort has been the destination selected by many organizations for business meetings, training seminars and executive retreats. According to corporate meeting planners, the most significant reasons for choosing The Cliffs Resort are its close proximity to the Dallas/Fort Worth Metroplex, excellent meeting facilities, the 18-hole championship golf course, a beautiful lake, and a friendly, professional staff. Furthermore, planners give high ratings to the sleeping accommodations, spectacular spa facilities, relaxed atmosphere, and the superb cuisine. Review of the golf course. Not only does Woodbridge Golf Course have a fantastic golf course that is scenic, fun, and challenging, they have a 12,000 stone and brick clubhouse, conference and dining rooms with full catering, bar and grill, and a beautiful enclosed Pavilion with windows over looking the practice facility and golf course. Plus they have a friendly and experienced staff that can run a custom tournament with prizes and they offer an excellent price and tournament package that takes care of everything from the minute you arrive until you leave.